iPad 3 with Retina Display and an iPad Mini 7.8″ to be Released in 2012? Apple will release an iPad 3 with a retina display running at 2048×1536 resolution next year, and the production of the IPS QXGA display is already underway by Samsung, Sharp, and LGD, according to a new report. Citing a confident analyst from DisplaySearch, CNET quotes “It’s happening–QXGA, 2048×1536. Panel production has started“. Talk of an iPad 3 with a retina display isn’t anything new, theoretical discussion of such hardware started before the iPad 2 was even announced in 2011, with various pieces of evidence and conjecture surfacing early on. There are also some rumors suggesting the iPad 2 may stick around as a lower cost model, with the iPad 3 becoming a “Pro” addition that would turn the iPad into more of a product family. Apple offering a lower cost iPad may very well depend on the success of competing lower priced tablets, which thus far have struggled to gain traction in the marketplace. 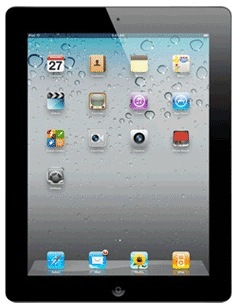 iPad Mini with a 7.85″ Display to Debut Later in 2012? “If there’s demand there. There’s no reason they wouldn’t build a 7.85-inch iPad,” Shim said. Demand for smaller screened tablets may end up depending on the success of the low priced Amazon Kindle Fire. A recent report indicated that Apple’s iPad maintains a dominating lead in tablet market share, but suggested the newly released Kindle Fire will place direct pressure on the iPad. Amazon’s tablet could be a motivating factor for Apple to be exploring an iPad with a smaller display. While rumors are fascinating to ponder, it’s wise to take all Apple rumors with a grain of salt, especially considering how incredibly inaccurate and imaginative the iPhone 5 speculation ended up being. In other words, don’t believe it until it’s announced by Apple. Also a third code name that of which nobody knows, maybe Apple TV 3? I highly doubt the iPad mini rumors. The 7″ tablets are very difficult to read on, turn your iPhone sideways and it’s the same experience with just a longer viewing angle. You have to zoom into everything and eye strain is quick to develop. Plus the only thing an 7″ iPad would compete with would be the iPod touch, the Kindle Fire is selling well but the reports of sluggish performance are going to backfire once it’s in enough customer hands. Amazon may have blown their customer trust with the Fire in a rush to market. I think Retina for the iPad is a necessity. I’m so used to my iPhone screen having that beautiful crisp clarity to it and as great as the iPad 1 + 2 are whenever I try one out in an Apple store it’s quite a let down how poor the screen looks in comparison to the practically pixel free iPhone one. Retina on the iPad 3 makes it one of the most irresistible devices ever, the usual speed bump and hopefully a battery increase even more so, I’d finally buy one! Wouldn’t that mean that a Retina display would be a necessity in a MacBook (Air and Pro). When I use my iPad 2 I don’t stare at the screen thinking that I can see each individual pixel in the same way I don’t look at a laptop and desktop like that. It is a ‘would be nice’ addition, people get to drawn in to a ‘it must have this or that or I will never buy one’ attitude. They’ve been running rumours like this for too long now, it just creates disappointment when Apple release the new iDevice each year just because they don’t always live up to the hype created by the media and rumour sites. 2048×1536 IPS and Quad Core arm CPU …..
Peace is within ourselves.The world is for everyone to share, without bias or favour. If we look at the world through sunglasses, we will see the world dark. It’s our attitude and perception that distort the world.We need to learn to accept that the world is fraught with sunshine, winds, rains, and sometimes, hurricanes.Life will be too dull if we only see sunhine. Spring is refreshing thanks to three months of winter.